We proudly welcome all members of the Silver Sneakers fitness program! We offer Silver Sneakers Classic, Silver Sneaker Circuit, and Silver & Fit classes several times a week. These classes are specifically designed for 65+ seniors with the goal of keeping participants engaged and interested in fun, social exercises. 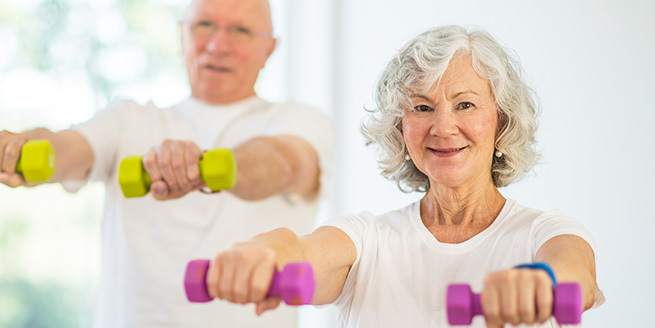 The classes are open to older adults of all fitness levels and interests; many people who start the program have never taken a fitness class before. Anyone is welcome! 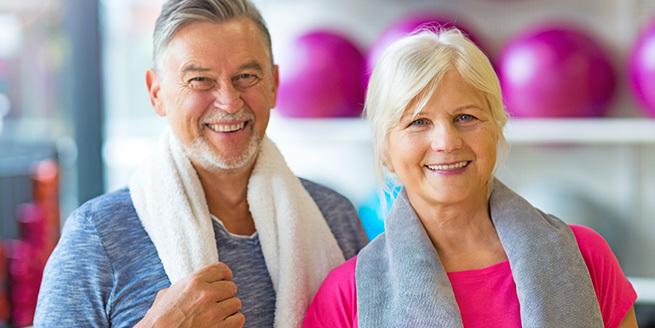 Silver Sneakers was founded more than 25 years ago to encourage older adults to participate in physical activities that will help them pursue fitness goals on their own terms. It sponsors activities, social events, and other events to help seniors take charge of their health as they get older. The program’s group exercise classes are designed to help improve general fitness, muscular strength, endurance and cardiovascular endurance, flexibility, and walking ability. The workout is suitable for beginning to intermediate skill levels, and each class is 55 minutes. The workout is suitable for all fitness levels, and each class is 55 minutes. Each Silver & Fit class is 55 minutes. Participants are encouraged to dress in loose and comfortable clothing, comfortable fitness shoes, and come prepared to enjoy a fun and social class that will definitely get you moving!